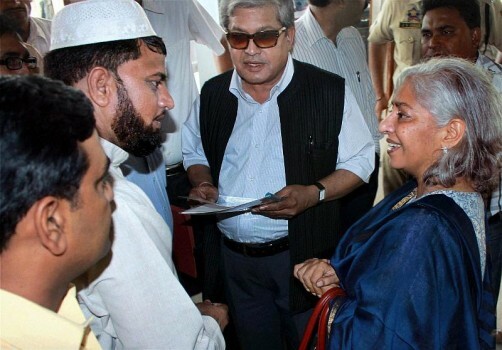 Former Centre's interlocutor for Jammu and Kashmir Professor Radha Kumar and Dileep Padgaonkar talking to social worker during a meeting with members of the civil society in Jammu. Union Home Minister P. Chidambaram receiving a report on Kashmir from Centre's Interlocutors Dilip Padgaonkar, M M Ansari and Radha Kumar in New Delhi. 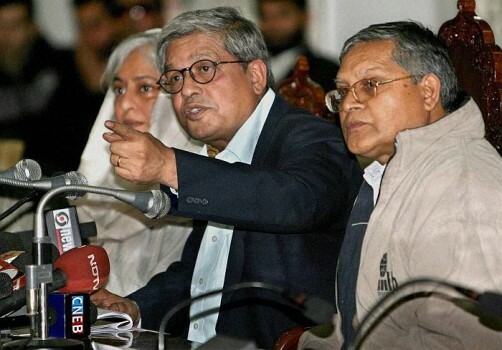 Centre's interlocutors on Jammu and Kashmir, Senior journalist Dileep Padgaonkar (C), academician Radha Kumar (L) and M M Ansari during a press conference in Srinagar. 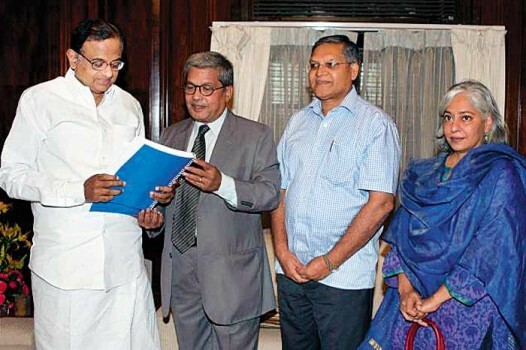 Centre's interlocutors on Kashmir Dileep Padgaonkar (C), Radha Kumar (L) and M.M. Ansari during a press conference in Srinagar. 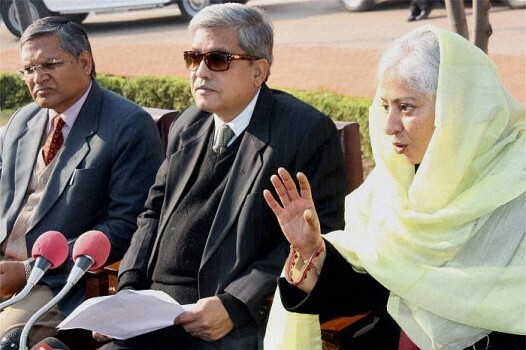 Centre's interlocutors on Kashmir Dileep Padgaokar (C), Radha Kumar (R) and M M Ansari address a press conference in Jammu. PDP chief Mehbooba Mufti addresses media persons after meeting the Centre's interlocutors in Jammu. 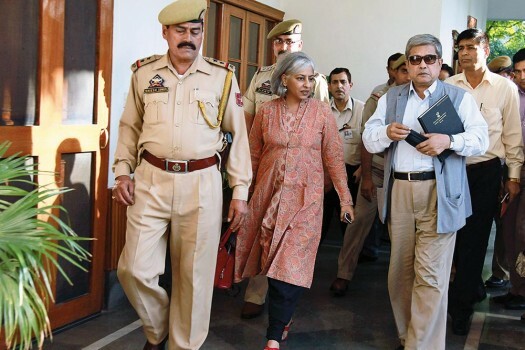 Interlocuters Radha Kumar (C) and M M Ansari (L) are also seen. 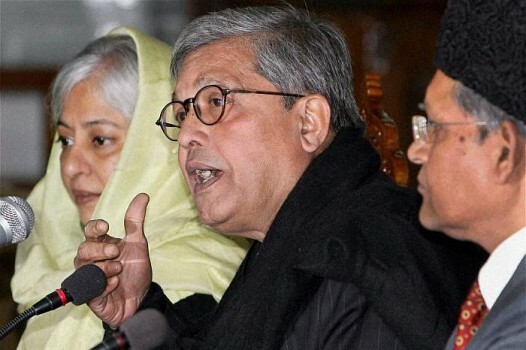 Interlocutors for J&K, Dr. Dilip Padgaonkar, Prof. (Mrs.) Radha Kumar and Prof. M.M. Ansari call on the Prime Minister, Dr. Manmohan Singh, in New Delhi. This is the first time the Indian government, not Pakistan, has repudiated the gains made by peace initiatives. Kashmiris bear the brunt. Why Complicate A Tangled Issue? 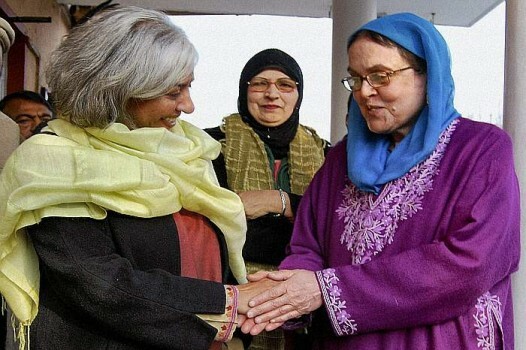 The response to the interlocutors’ report has stuck to the political ideas in it. An informed debate on all of it can lead to consensus, then action. Post-Pokhran, Kargil led America to warm up towards India. The bonhomie is still on, though, ironically, Pakistan is one glitch. Who's In For The Ride? The book ends where it should have begun. Kishwar's ideas for solutions need discussion of whether and how these can be implemented given the obstacles she describes. 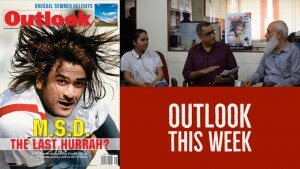 Dileep Padgaonkar, a noted journalist, Prof. M.M. 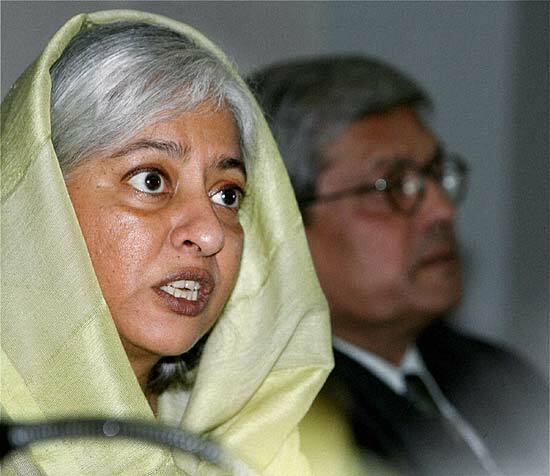 Ansari, Information Commissioner and Prof. (Mrs) Radha Kumar, trustee, Delhi Policy Group are appointed to "hold sustained dialogue with all sections of the people in Jammu and Kashmir"